A life-long fan of science fiction and pulp fiction, Wayne Carey grew up reading Edgar Rice Burroughs, H.G. Wells, Isaac Asimov, H. Rider Haggard and all the grand masters, which guided him toward a career in science with degrees in biology and education and provided the desire to write from an early age. A love of classic and noire films, such as Casablanca and The Maltese Falcon, also influences his writing. He is the author of The Nanon Factor, a young adult contemporary science fiction thriller that blends a murder mystery with cutting edge technology, and he has appeared in a variety of anthologies such as Legends of New Pulp Fiction. He and his wife Brenda live in the wilds of Central Pennsylvania with their three children, who provide a great deal of inspiration for his work. Email him at wgcarey@1791.com. But what if the stars from the Golden Age of Celluloid actually ended up investigating real crimes, finding themselves in the crosshairs of danger while pursuing murderers and criminals through the studios and back alleys of America’s Dream Factory? 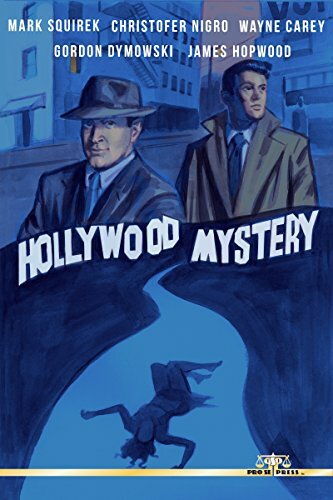 HOLLYWOOD MYSTERY is a collection of stories turning beloved Hollywood icons into detectives, turning over every rock and following every blood trail, hunting for the truth and hoping not to end up on the cutting room floor! HOLLYWOOD MYSTERY. From Pro Se Productions. The world, even today, has its secrets. Lost cities, hidden artifacts, arcane and occult corners of the globe. And every forgotten civilization, every mysterious weapon or jewel, every legend cries out to be discovered, speaking to a very special sort of person, that character that has been the center of stories since the dawn of time. And now, four authors bring their talents to new tales of the hale and the hardy, the daring and the brave. 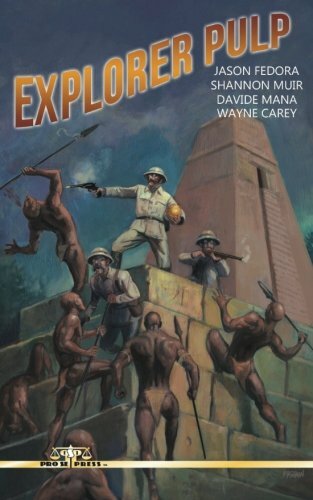 Join Jason Fedora, Shannon Muir, Davide Mana, and Wayne Carey as they climb to the tips of pyramids and dive to the depths of caverns in EXPLORER PULP! From Pro Se Productions.